The Origins Clash Pack seems a little lame. 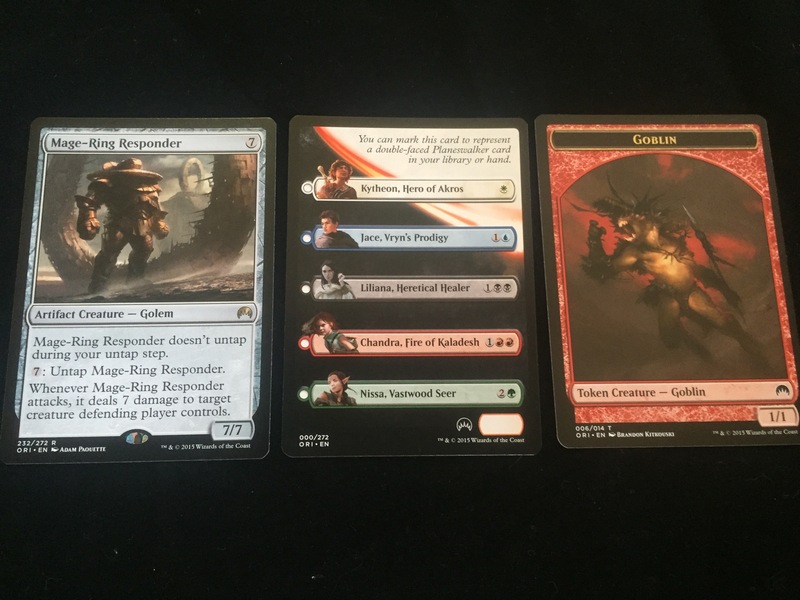 I DO like the new art for Siege Rhino. But other than that, there is almost no reason for me to purchase that. I don’t have many cards from the Origins set. 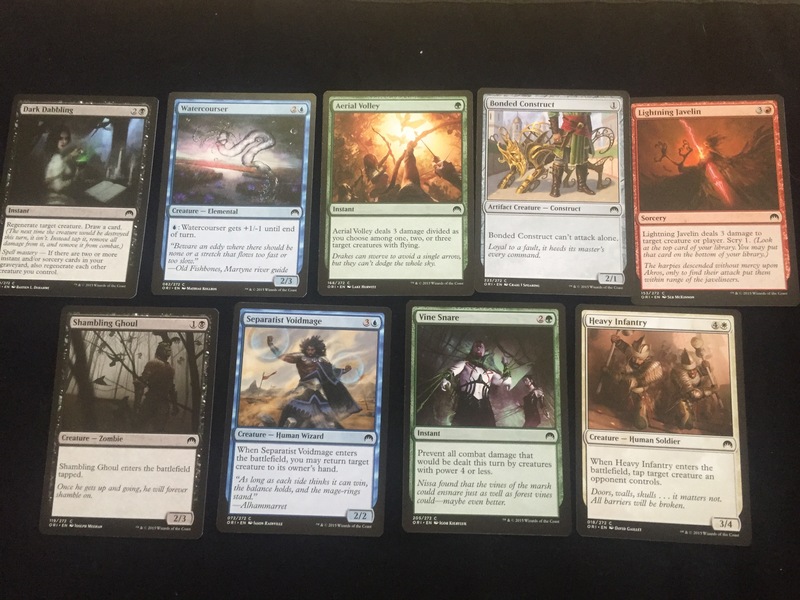 Much less black cards from the set. I already had a Kothophed, but have yet to play him. 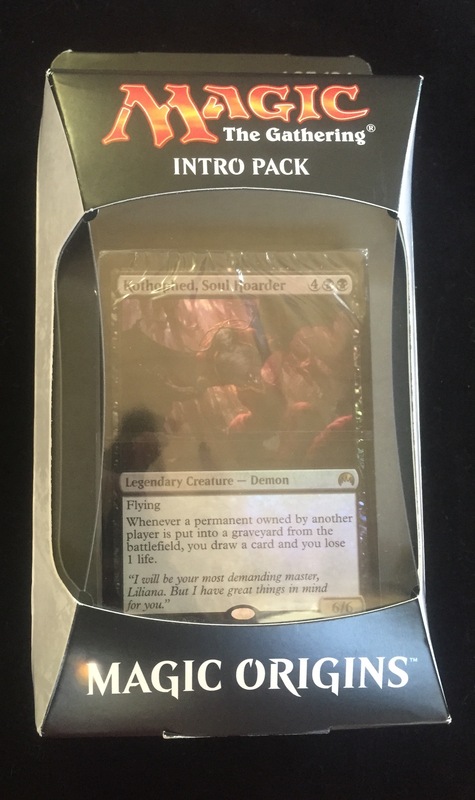 This intro pack has an alternate, better art in foil. 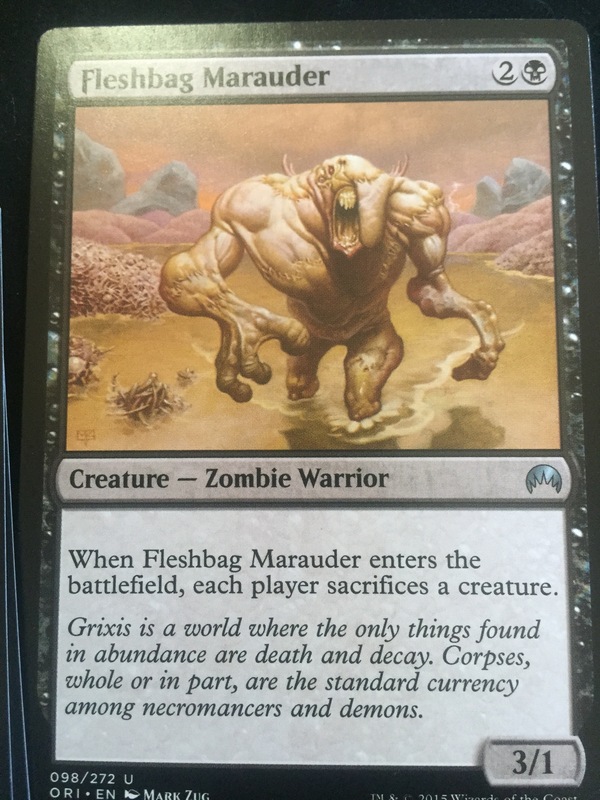 It also has another Fleshbag Marauder, and I only had three copies. So…throw in two booster packs, and it seemed like an OK deal this time. So does “Demonic Deals” change things? Keep reading! The box has the regular packaging. No surprise here. You get a little blurb about what this deck is about. And that’s it. But on the front we see Kothophed, Soul Hoarder. 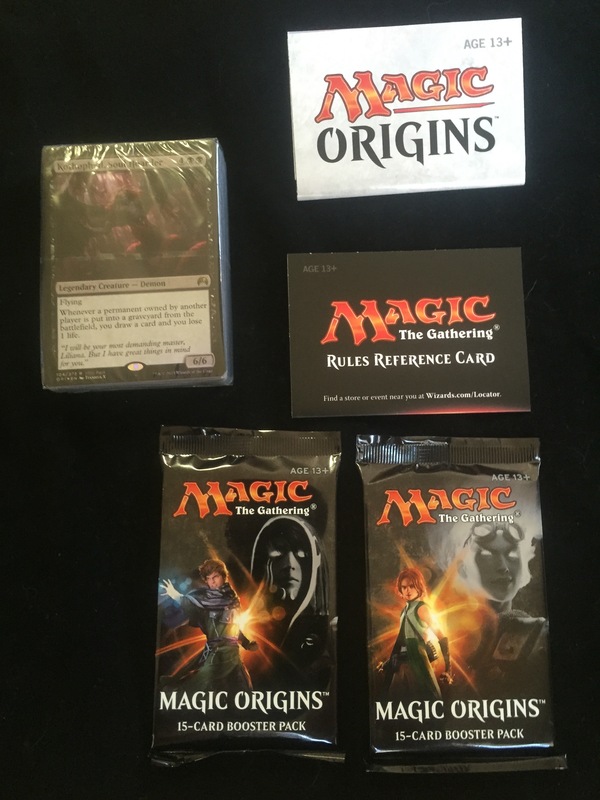 Opening the box reveals the contents…the deck in cellophane with Kothophed on front, a guide to playing Magic, a guide to playing this deck, and two Origins Booster Packs. 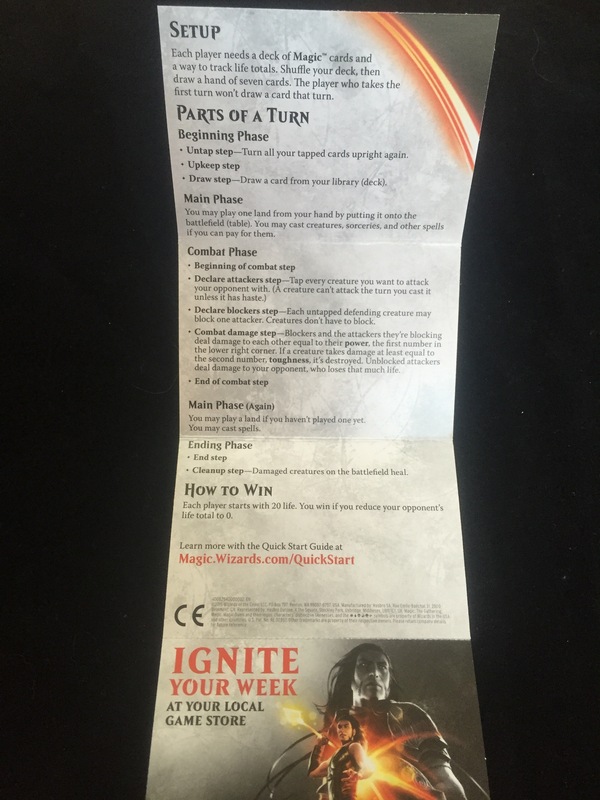 The guide to playing Magic is notable this time, it is an updated version…still, it will land in my trashcan, but here is a picture just so you can see. The other paper features some really nice Liliana artwork and the decklist for each deck. I am including a close-up for this specific deck. I’m going to take a broad picture of the cards as I open the cellophane, and then talk about the significant cards only. I have yet to cast Kothophed and use his ability. I don’t know if he’s that good or not. 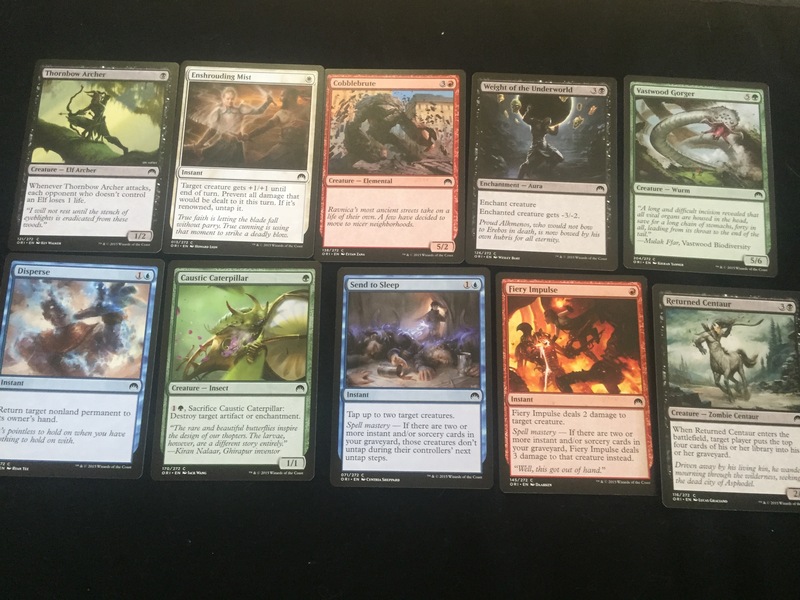 A 6/6 flyer for six mana, including two blacks isn’t so bad. He would be good for devotion, but only as a one of in any competitive deck at that mana cost. I could potentially see a Drown In Sorrow or similar creating massive card advantage for you. One of the two rares in this deck. 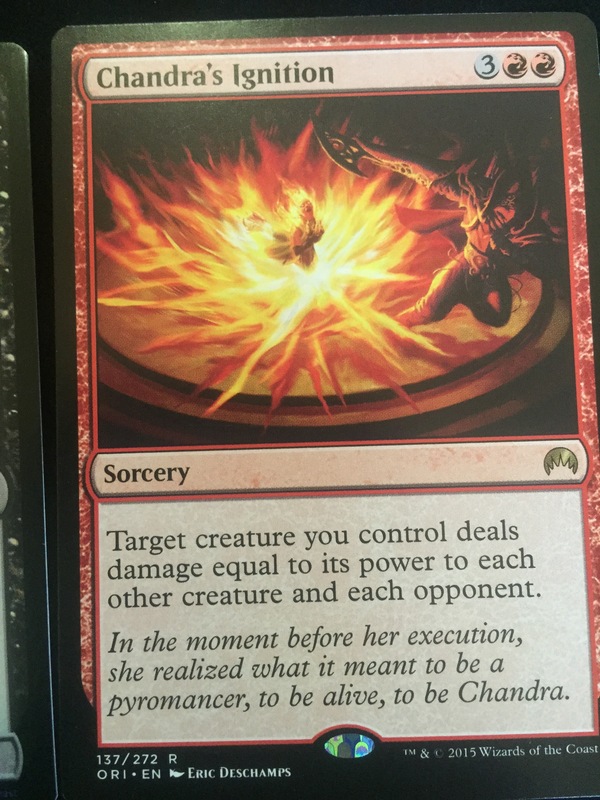 The other rare is Chandra’s Ignition. A five drop sweeper meant for Red-Deck-Wins. 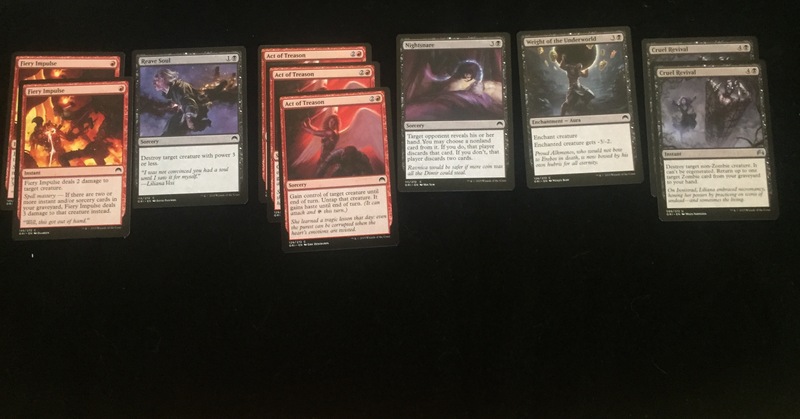 It works well in this deck, whose secondary color is red. Whatever deck it is in has to be reliant on creatures. Black decks don’t generally mind sweepers. More card advantage! 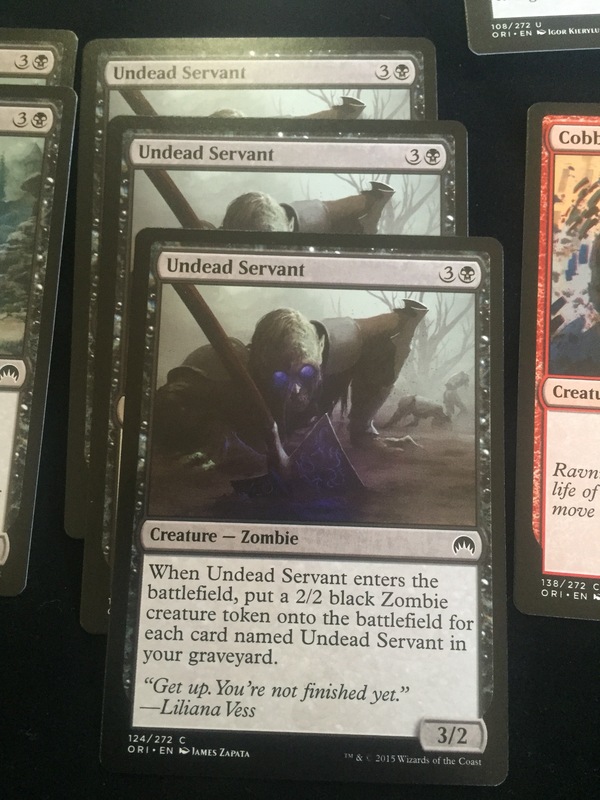 I was surprised how good Undead Servant and Nantuko Husk work so nicely together when playing the deck. Great synergy! Nothing special at all, really. Evolving wilds is really sort of unnecessary. You generally draw the land you need. I suppose it helps a little. The next group of cards is the other spells. 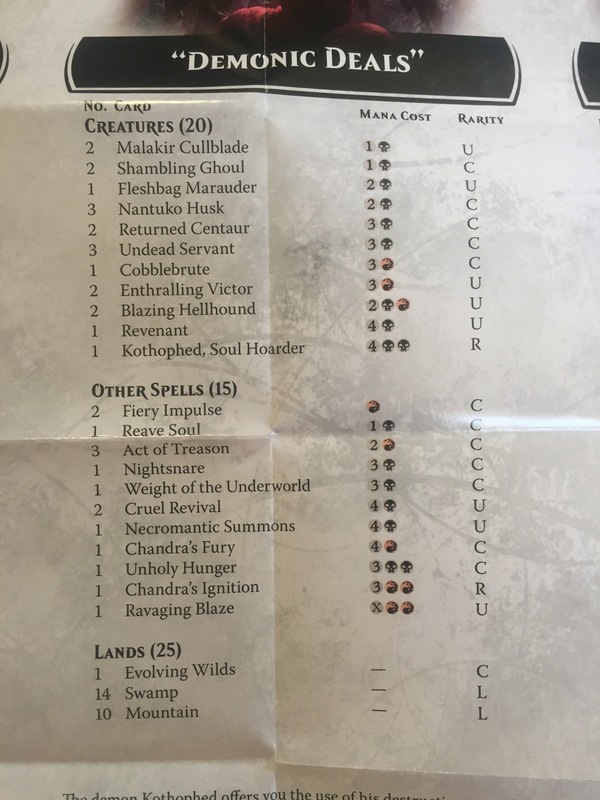 Notable here is Act of Treason, a classic trick where you steal their creature and attack with it or use it as you see fit. In this deck, you are meant to sacrifice their creature while it is under your control. I’ve never felt that Weight of the Underworld was good for removal. Nightsnare is a new expensive Thoughtsieze type of spell. Reave Soul is a really bad doom blade. Cruel Revival lets you kill their guy at instant speed and return a zombie from your graveyard to your hand. A couple of the new spells have “Spell Mastery” abilities. They let you do something extra if you have spells in your graveyard. 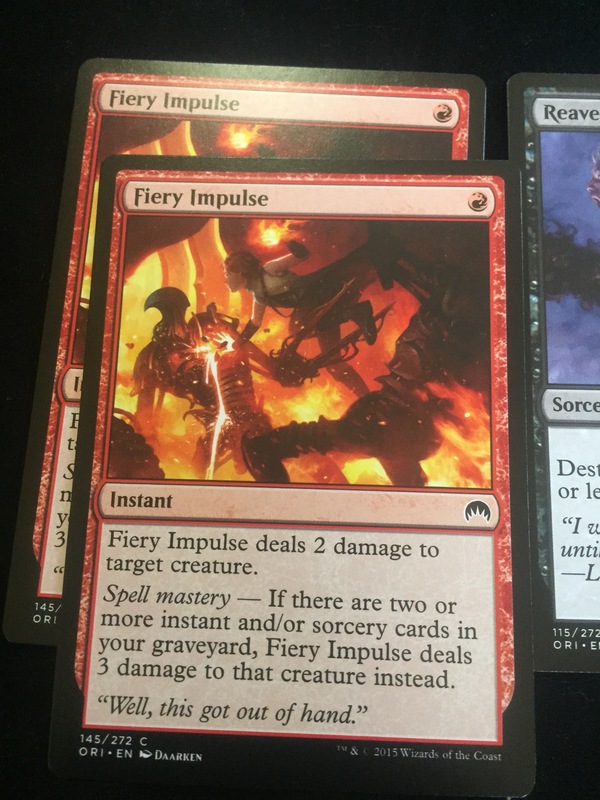 This is going to be very relevant in the upcoming Standard format. I played three matches against the SpartanKid’s most recent deck, a blue-while control deck featuring Dragonlord Ojutai and Narset, Transcendent. The deck lost miserably on its first testing, however performed wonderfully in the second and third rounds, really slam dunking the third. It is a great start to a good aggro deck. I believe a person could be competitive if they adjusted it for standard. Switch out the poor removal options with Heroes Downfall, Bile Blight, or similar. Drop the expensive spells in favor for Mogis Marauders. The instructions suggests Liliana, Heretical Healer of course. And she would be great for this deck as your lots of creatures should be dying a lot to gain you incremental advantage. But this deck isn’t really a discard deck at heart. It wants to focus more on beatdown and sacrifice. What came in my booster packs? 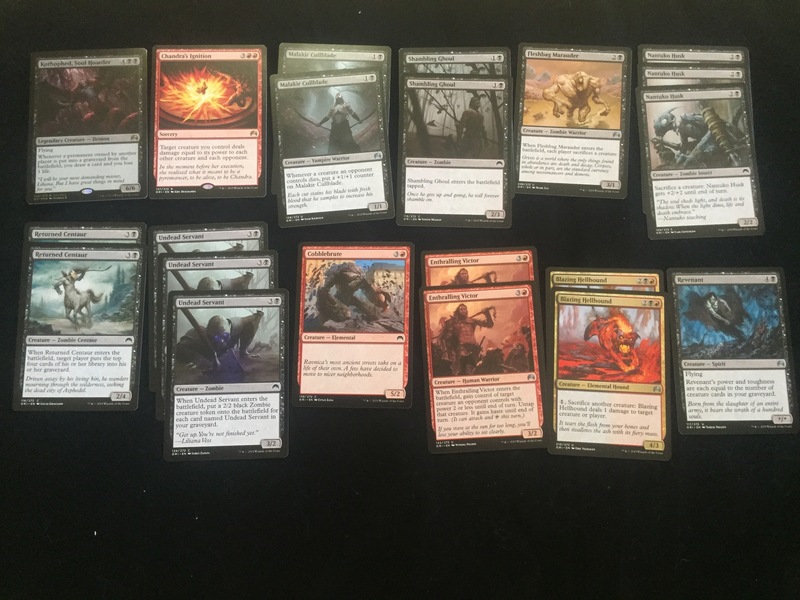 The commons were fairly meh…Playable in this deck are Shambling Ghoul, Dark Dabbling, Lightning Javelin, and Bonded Construct. Probably only Dark Dabbling to make any kind of improvement. 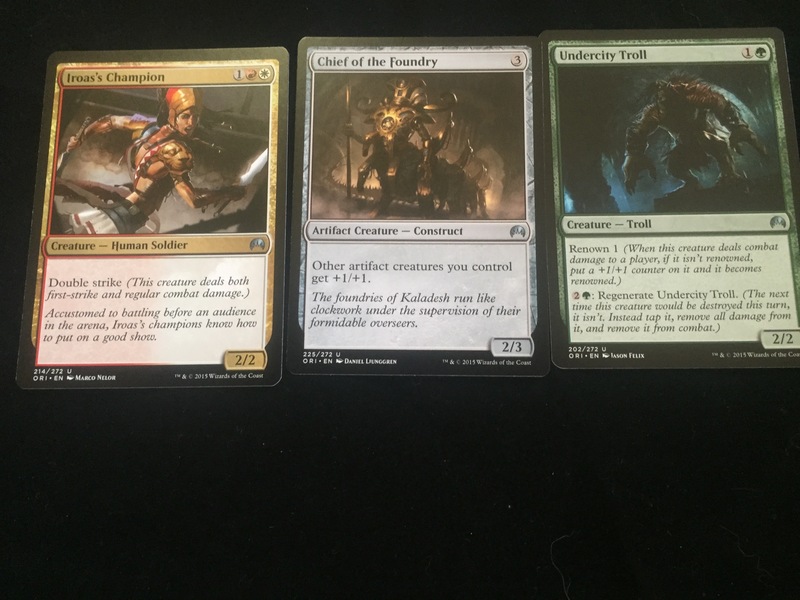 The uncommons…not bad. Another Fleshbag Marauder. And that other removal spell I’m not yet that fond of. Pia and Kiran Nalaar…Everyone says they remind us of Anax and Cymede. Casting them gets you two flyers. 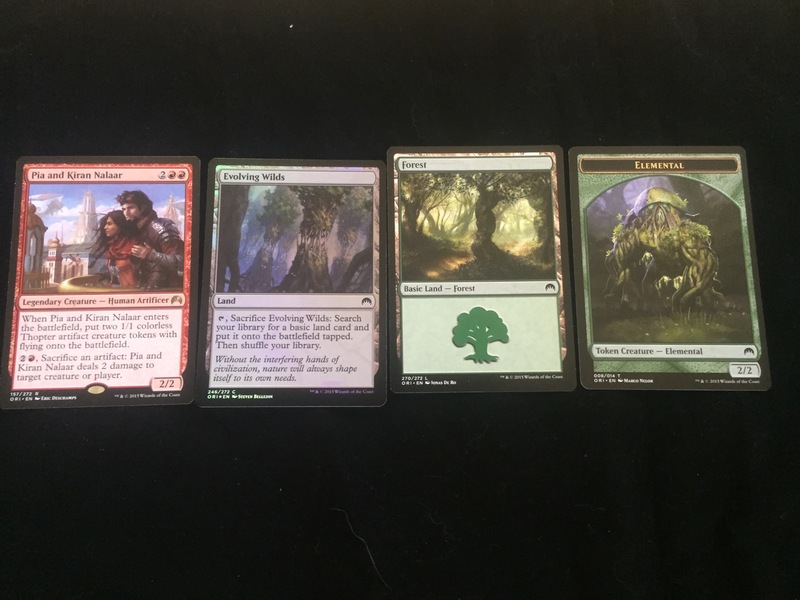 I got a foil Evolving Wilds, a forest, and an Elemental Token. At common, more playable cards. A one-drop elf. Another Cobblebrute. Weight of the Underworld, and Fiery Impulse. Returned Centaur also can help you load your graveyard to help Spell Mastery and re-animation tricks. The only thing playable here is Chief of the Foundry, a lord for artifact creatures. he would work well with Pia and Kiren. 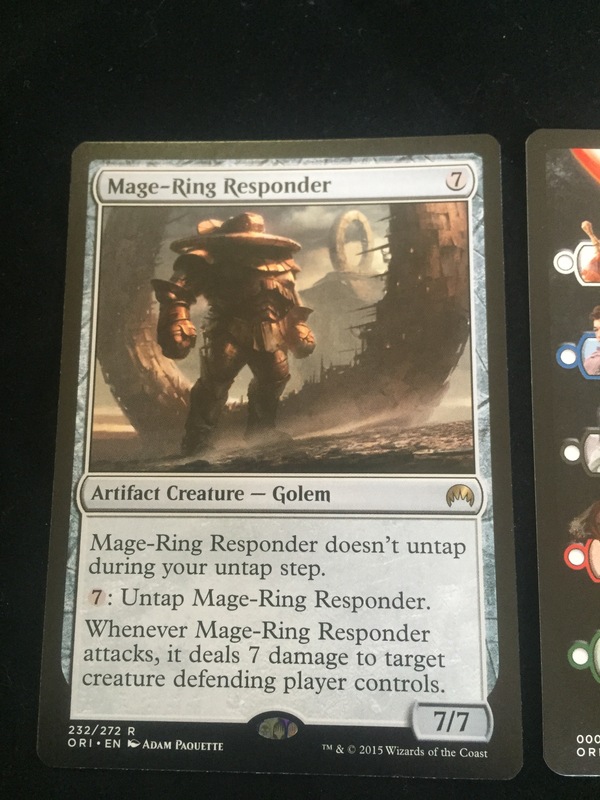 Mage Ring Responder. 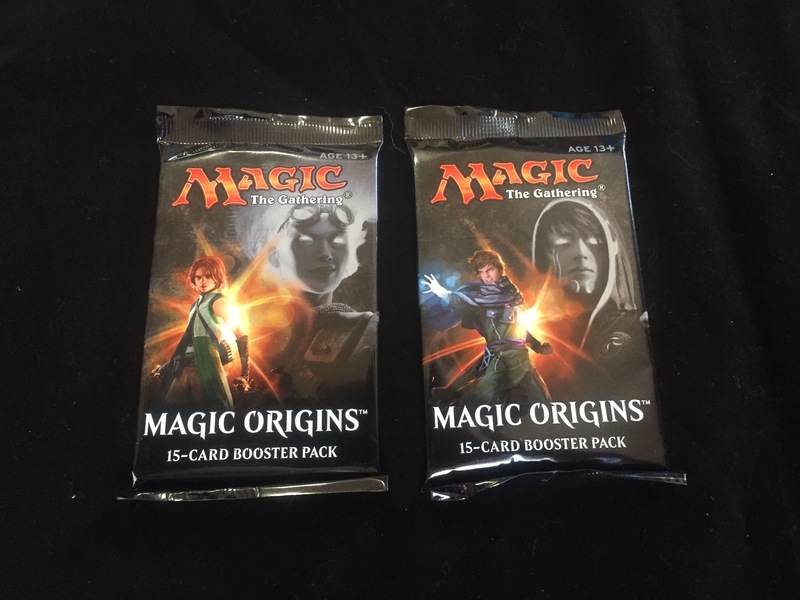 I have prior experience with the responder from when I drafted Origins. He can be a beast! 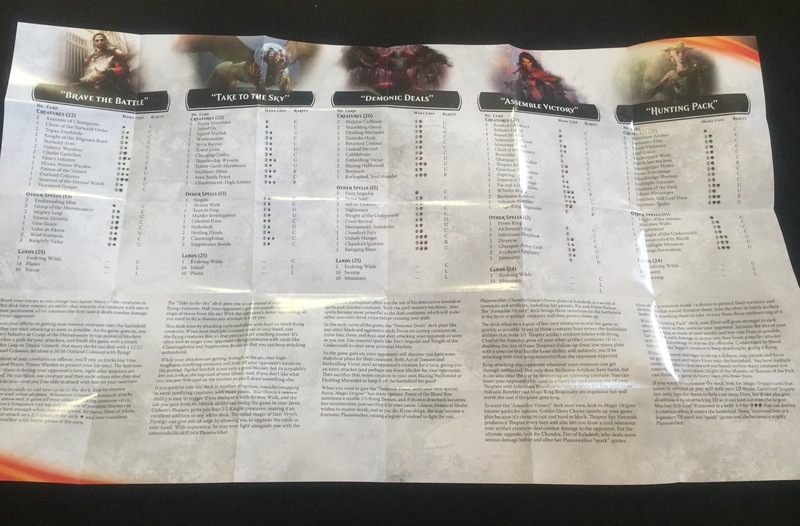 Also notable is the checklist card for the new double-sided planeswalkers. 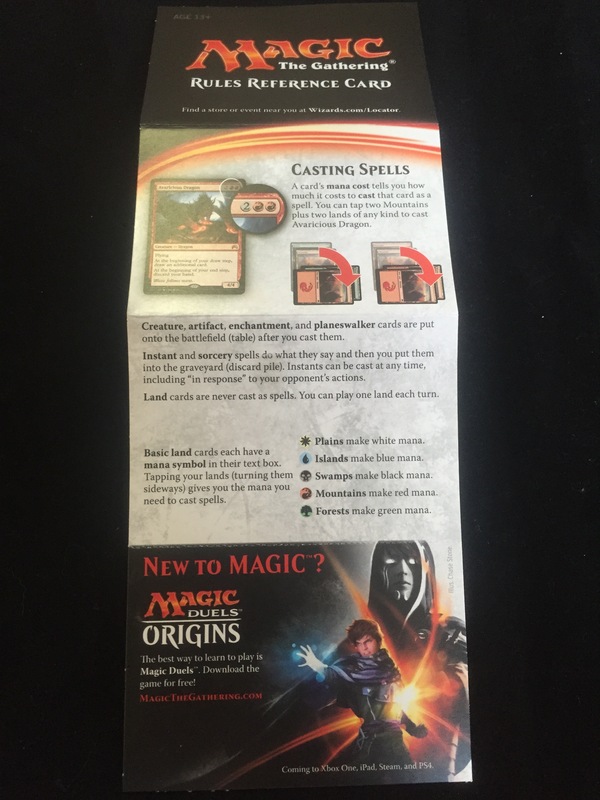 It is apparently a new rule that you may no longer just use a sleeve to conceal your double-sided card. This “backpack card” is now required in serious tournaments. 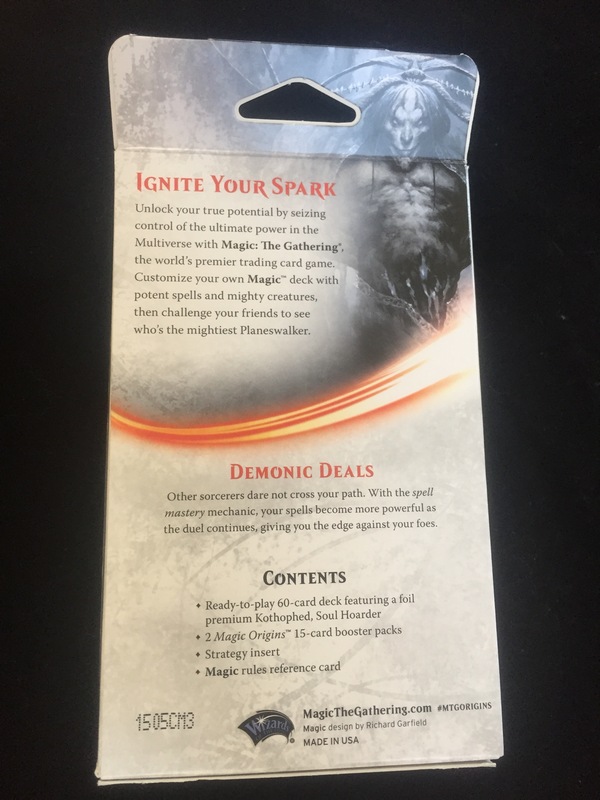 How does the SpartanNerd rate Magic the Gathering “Demonic Deals” Intro pack? This deck stands a head taller than the past couple of intro decks I reviewed. That in itself is an accomplishment. And that this pre-constructed deck beat a constructed deck meant for a tournament says something else. More testing will be required to really say. I think I would like to say a few things about this as an entry-level product. 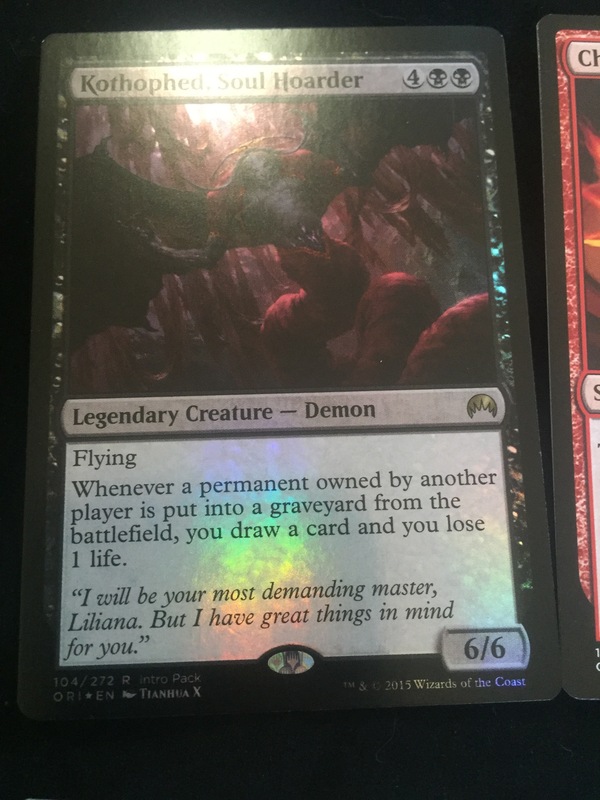 I have written about demons in MTG before, and the Wizards also addressed their use. In Magic, they are purely fantasy. Any level-headed person should be able to figure that out. But people don’t take demons lightly, and shouldn’t. But other than that gripe, this is a wonderful product! The two booster packs gave you enough cards that you could create a semi-sideboard. It could have gone the other way, but didn’t. In this here and now. And that’s why this was an over-the top successful offering for the new Magic player. 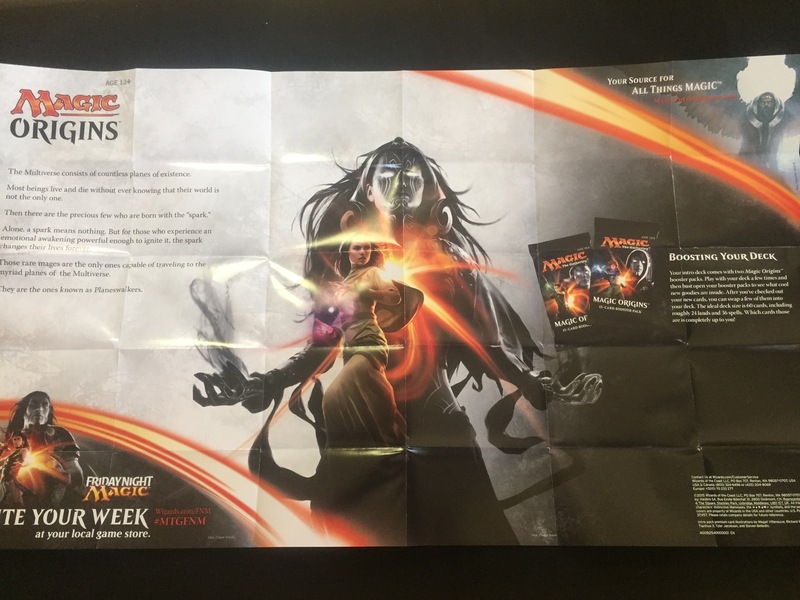 The boosters also pave the way to make a person interested in Planeswalker cards, building an elf tribal deck, and an artifact deck. The inclusion of the Forest means a new player with NO OTHER cards now has another mana source to try and build a deck with some of the new green cards. A new player would be left wondering about blue and white cards as well. 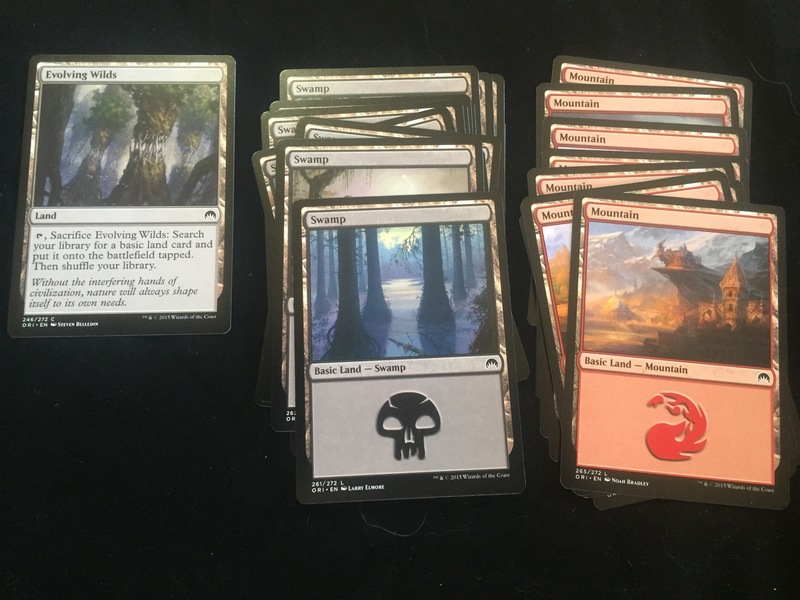 And the foil Evolving Wilds is very nice for a new player. This time, the addition of the two booster packs that contained relevant cards for new players made me up my rating. 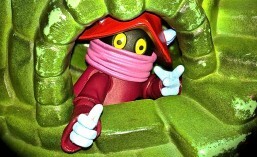 I was very satisfied, and know that Wizards customers will be too. My rating of Magic the Gathering “Demonic Deals” Intro pack is 4/5. It is marked down because of the name, and because of its “not-quite-ready-for-standard-tournaments” status. I don’t believe it was meant for that though…it was meant to be played and home and learned with. The SpartanNerd rates “Demonic Deals” 4/5. Do you agree or disagree, Hub City Geeks? Let me know in the comments! 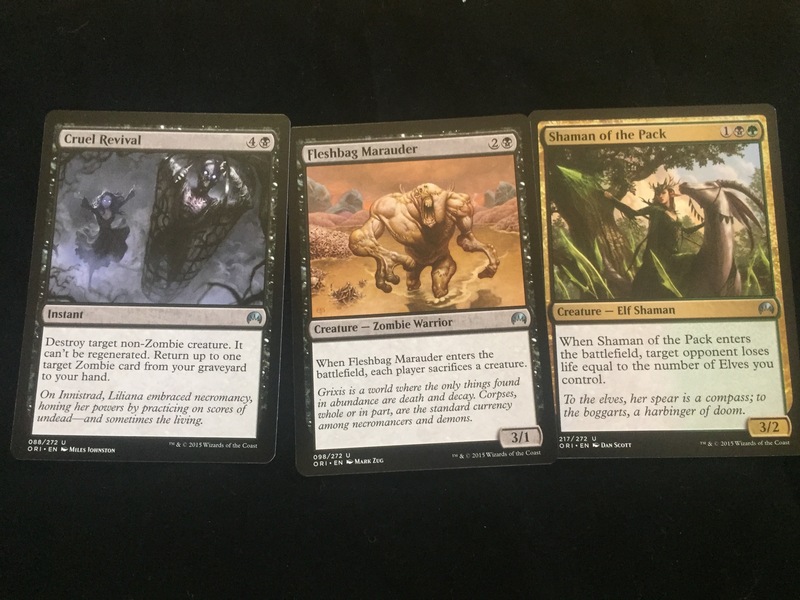 This entry was posted in Inro Pack, Magic Origins, Magic the Gathering, SpartanNerd, SpartanNerd Review and tagged Intro Pack, Kothophed, liliana heretical healer, Magic Origins, Magic the Gathering, SpartanNerd, SpartanNerd Unboxing and Review. Bookmark the permalink.